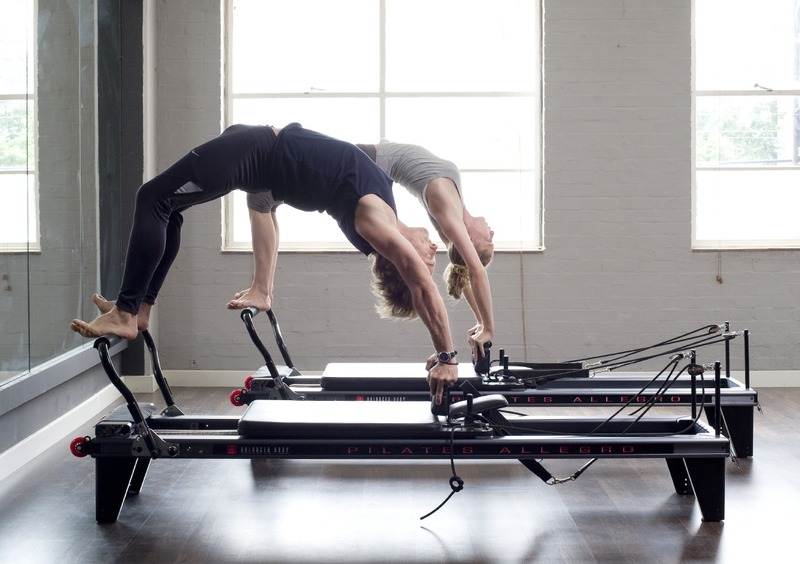 Marianna: I really like the long stretch on the reformer, it really challenges the core strength, especially when you reduce to a lighter spring load! TP: What can students expect from our new Contemporary Pilates classes, and what are the benefits? Marianna: The Contemporary Pilates classes are focused on the classical Pilates repertoire, reinforcing the basic principles of the Pilates method and encouraging students to learn the proper technique and alignment that will make exercise both safe and effective. The classes are suitable for absolute beginners and clients that are recovering from injuries as they provide a slower pace through the pilates vocabulary. That being said, advanced students could also benefit from these classes. Instructors will always give a more challenging option for a client with a greater body awareness and it would be good for them to go through the basics again and improve their posture. TP: What are your favourite pre/post exercise foods? Marianna: Pre-exercise, having a banana. Post-exercise in the winter I was craving broccoli (not sure why) and now with this lovely weather a sweet juicy nectarine! TP: A sportswear brand whose products you enjoy? Marianna: I’m not into brands! I’m a contemporary dancer and I always like to wear comfortable clothes that you can move in! TP: Another group exercise studio you like in London? Marianna: At the moment I am into 1Rebel, their reshape classes, as I am trying to improve my running skills. TP: What’s your favourite summer activity in London? Marianna: Picnics in Victoria Park! TP: A holiday destination you would recommend? TP: Your favourite local places to eat and drink? Marianna: I like a small Vietnamese restaurant on Dalston Kingsland road (Mien Tay) and the Kenton Arms for a beer in the garden. TP: Your favourite song from our playlist? Marianna: Milk & Sugar – Ready Or Not. TP: A public figure you look up to? Marianna: Ohad Naharin, choreographer and creator of Gaga movement. TP: A quote you like to live by? Marianna: ‘Παν μέτρον Άριστον´ in Greek means ‘Everything in moderation’. Georgina is a familiar face at our Reformer Pilates studio based in London WC2 | Covent Garden and also our Student Of The Month for May. Read our interview with her below. I joined approximately a year ago due to becoming injured with sore knees and my thyroid condition causing more fatigue. I didn’t want to give up exercise as it is something I love doing. So my friend asked me to try Tempo Pilates classes and now I’m hooked! I aim for 3x classes a week. I like to do one Up-Tempo Pilates class and 2 Intermediate Plus classes as I like the variety and monitoring my progress. The music and the challenge of making each reformer pilates exercise more of a challenge. I love that the trainers know when and how to push me. Yoga, running and some HIIT when I feel able. Foxlow in Farringdon or Moro in Exmouth Market. It is my favourite place in London! A glass of red and thick cut chips! To cut down on alcohol and consistently get to Tempo Pilates 3x a week.